For over two millennia, people have argued that the ‘design’ in nature points to a Designer. The two main schools of philosophy then were Epicureanism and Stoicism. The Epicureans sought happiness through bodily pleasures and freedom from pain and anxiety. The two chief causes of anxiety were fear of the gods and fear of death, so Epicurus sought to nullify both of these by teaching an evolutionary atomic theory. He denied that there was any purpose in nature, because everything was composed of particles (atoma: atoms), all falling downwards. He said that these sometimes spontaneously ‘swerved’ to coalesce and form bodies — non-living, living, human, and divine. The gods were made of finer atoms than humankind. They did not create the world or have any control over it, so they were not concerned with human affairs, and there was therefore no need for man to fear them. At death, the soul disintegrated and became non-existent, so there was no need to fear death or the prospect of judgment after death. 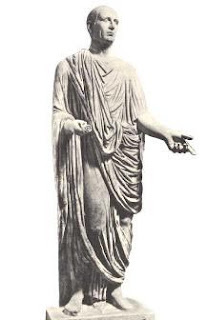 Cicero used the Stoic character in his book to refute these ideas with arguments from design, aimed to show that the universe is governed by an intelligent designer. He argued that a conscious purpose was needed to express art (e.g. to make a picture or a statue) and so, because nature was more perfect than art, nature showed purpose also. He reasoned that the movement of a ship was guided by skilled intelligence, and a sundial or water clock told the time by design rather than by chance. He said that even the barbarians of Britain or Scythia could not fail to see that a model which showed the movements of the sun, stars and planets was the product of conscious intelligence. Cicero continued his challenge to the evolutionism of Epicurus by marvelling that anyone could persuade himself that chance collisions of particles could form anything as beautiful as the world. He said that this was on a par with believing that if the letters of the alphabet were thrown on the ground often enough they would spell out the Annals of Ennius. And he asked: if chance collisions of particles could make a world, why then cannot they build much less difficult objects, like a colonnade, a temple, a house, or a city?